I’ve been a fan of SOL REPUBLIC Headphones for years. I’ve tried every model in the lineup and my current favorite is the SOL REPUBLIC Master Tracks XC Studio Tuned by Calvin Harris. As the artist of countless chart-topping hits, Calvin Harris has a unique ear and renowned producing skills. Couple this knowledge with the acoustical engineers at SOL REPUBLIC and the result is a sound that’s second to none. Master Tracks XC produce an extremely dynamic, powerful sound with incredible vocal clarity and details in the highs, mids and even the lows. 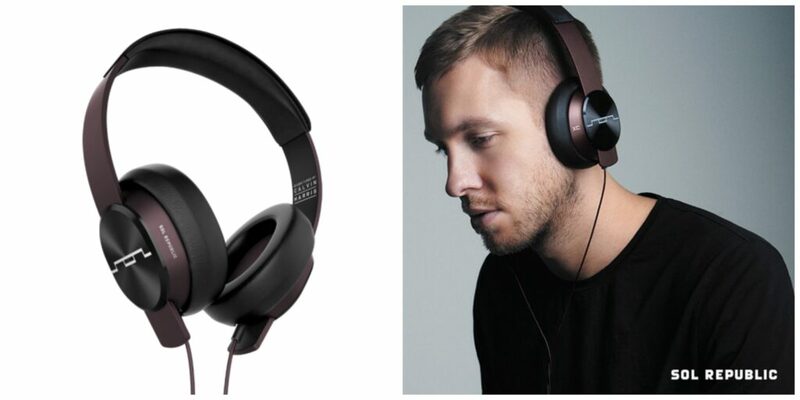 Listen to what Calvin Harris has to say about the SOL REPUBLIC Master Tracks XC. I record podcasts and some electronic music (you can hear my song, X Minor) and these headphones help me to hears sounds clearly. They are sonically accurate for music creation, yet powerful and sleek enough for the most passionate music fan. The sweepstakes starts on Friday, August 15, 2014 and ends on Monday, August 25, 2014 at 11:59 a.m. (EST), and is open to all Mocha Mocha Man Style readers, subscribers, and/or fans 18 years old and older in the continental U.S. and Canada. No purchase required. Relatives and employees of Goodall Family Media are not eligible to win. You are also ineligible if you’ve won a prize from this website within the past 30 days. One (1) winner will be chosen via Random.org and announced soon after the ending date. You must leave your contact information to collect your prize. If a winner does not respond within 3 days, a new winner will be chosen. Disclosure of Material Connection: I received compensation and/or one or more of the products or services mentioned above for free in the hope that I would mention it on my website. I am disclosing this in accordance with the Federal Trade Commission’s 16 CFR, Part 255: “Guides Concerning the Use of Endorsements and Testimonials in Advertising.” All opinions are my own. Allow 3-6 weeks for giveaway fulfillment. Total prize value = $249. To see the winner, visit our Winners Page.